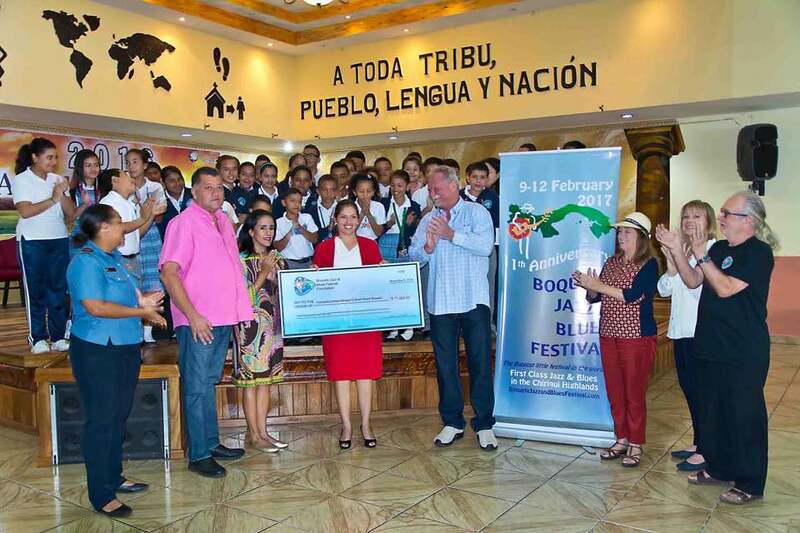 The Boquete Jazz and Blues Festival Foundation is donating 100% of profits of the festival to local schools in order to support and improve musical education, and to find and develop local musical talents. Altogether, the foundation has since 2012 donated $7,300 to local schools! 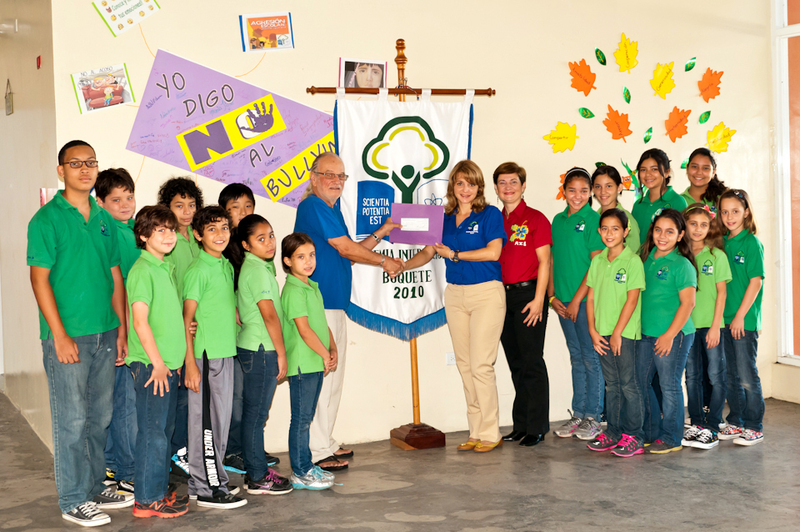 On May 9th, 2012 the Academia Internacional de Boquete (AIB), a school with 160 students of 26 different nationalities, was the first beneficiary of this program. The BJBF Music for Schools program donated $800 to support the school's plan to create a student orchestra. 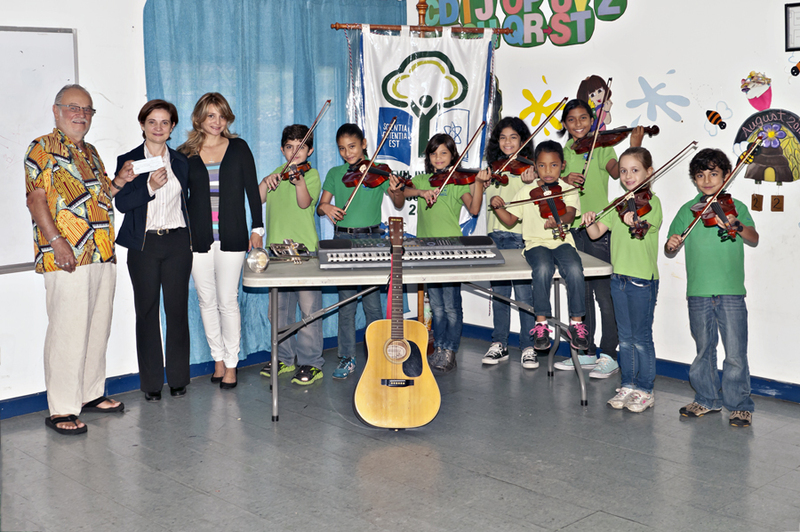 We will further support the school in this endeavor with helping to get donated musical instruments for the orchestra as well as recruiting voluntary teachers from the Boquete community. 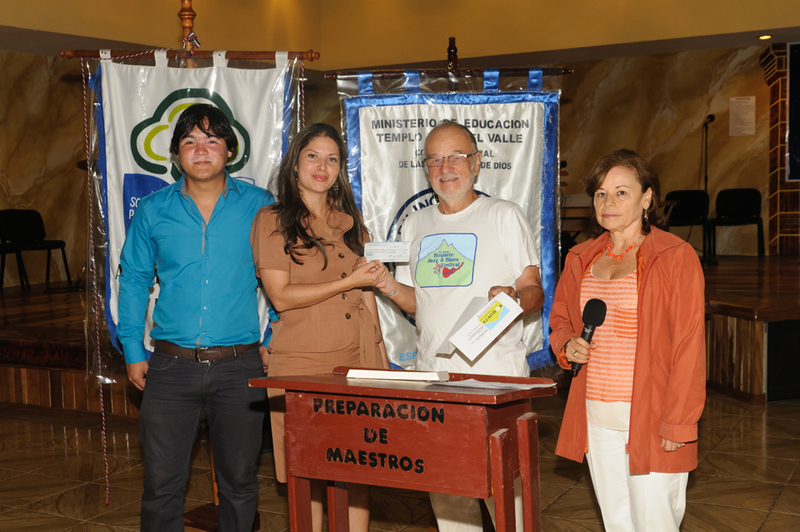 On November, 9 2016 Mr. John Wolf, director of The Boquete Jazz & Blues Festival, presented a check in the amount of $1,000.00 to the Colegio Bilingue el Buen Pastor in Boquete. The students of Academia Internacional de Boquete that performed a musical "Grease" with financial support from the foundation of the Boquete Jazz & Blues Festival. 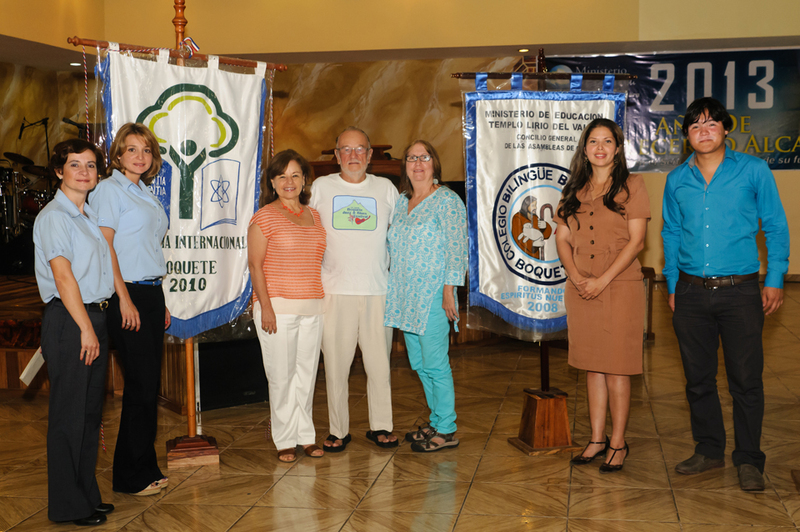 On June 18, 2014 Mr. Hans Lebuser, director of the Boquete Jazz&Blues Festival 2015 and treasurer of the Boquete Jazz&Blues Foundation handed a cheque of $2000 to the principals of the Academia Internacional de Boquete (AIB), Mrs. Carla Rigau and Mrs. Melissa Vallarino. See below a video of excerpts of "Grease" performed by AIB students at the 2015 festival. Here's a slide show of the same event with photos by Hans-J. Lebuser. 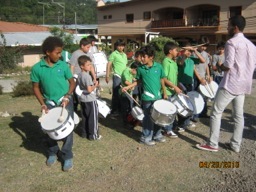 What a great fun it was to see the kids trying out the various instruments! 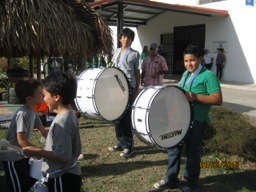 What better purpose can a music festival have but to introduce kids to the fun of making music! 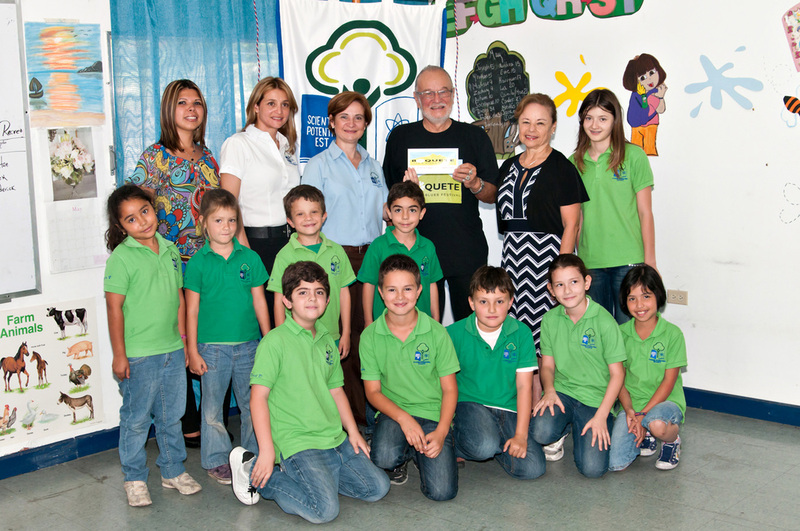 The Boquete Jazz&Blues Festival Foundation did it again: We donated $4,500 from the proceeds of the successful 2013 festival to local Boquete schools! These are some pics of the presentation of cheques of $4500 to the Academia Internacional and the Escuela Buen Pastor in Boquete. The donation was made possible by the great success of the 2013 Boquete Jazz & Blues Festival and our Music for Schools program. The BJBF Music for Schools program at work! 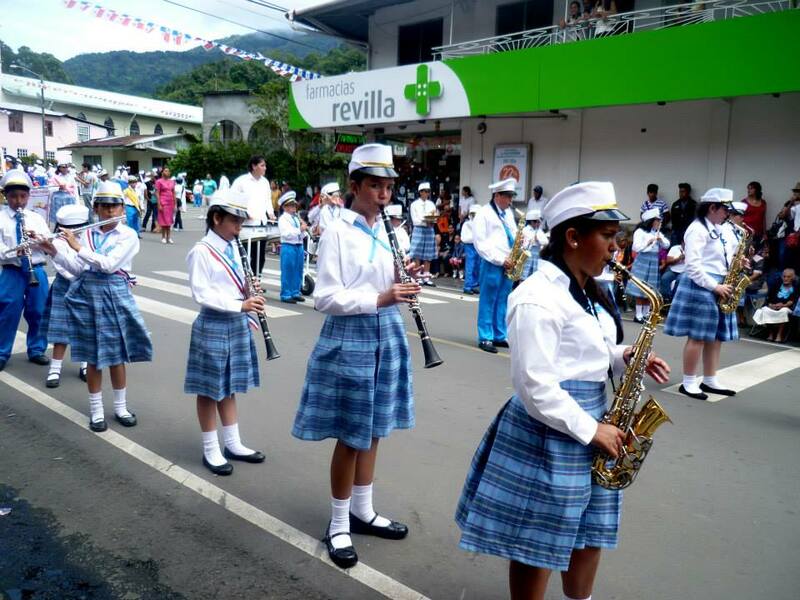 Below are some pics of the school orchestra of the Escuela del Buen Pastor (School of the Good Pastor) parading in Boquete on Panama's national holiday with instruments bought with the 2013 donation of the Boquete Jazz&Blues Festival Foundation. The orchestra has tripled in size with the help from our foundation! 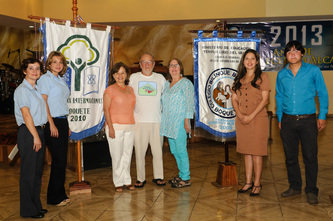 On August 23rd, 2012 the Boquete Jazz & Blues Festival foundation handed donations it had received from some members of the Boquete expat community over to the Academia Internacional de Boquete (AIB) to support the school’s orchestra project. 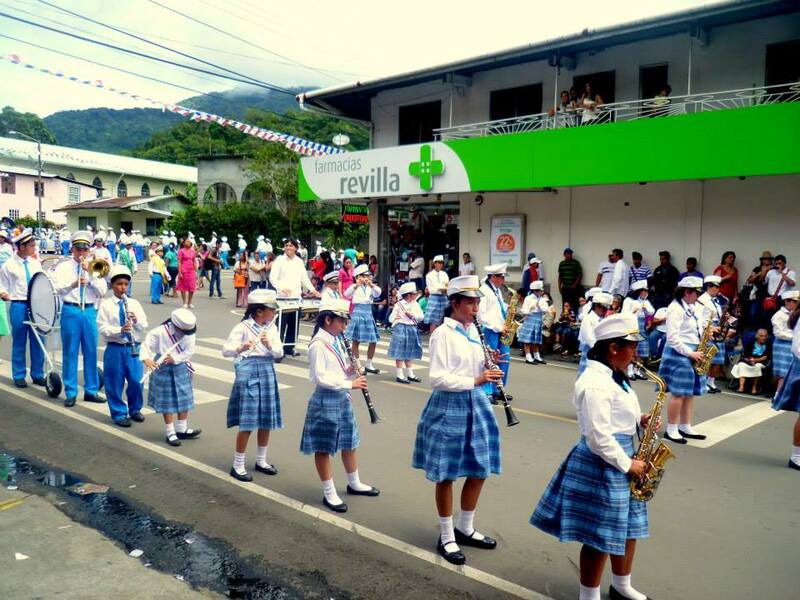 Our heartfelt thanks go out to the generous donors for their support of musical education in Boquete through our Music for Schools program. 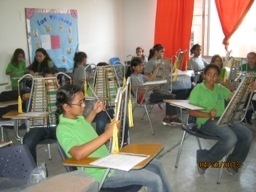 Friday, March 1, 2013: BJBF 2013 harp clinic for students of local schools in Boquete. Harp masters Bob Corritore and Andy Egert teaching students how to play the harp. The Hohner company from Austin Tx. generously donated 50 harps for this event. Photos by Michael Moore and Ron Elkind.